We have all seen the allure of outranging players, as the feeling of being untouchable and unreachable is a desire we all want to achieve. Upgrading your hop-up and barrel in your AEG will increase range but for the ultimate range many ventures for the bolt-action sniper, rather than a long-range AEG DMR. The main reason we see a better range from “spring” snipers is the higher FPS output, now that’s not to say FPS is the ultimate solution for range, but paired with a tight bore barrel and a refined hop-up setup, the pairing can create a great platform for long-range gameplay. The need for long-range guns does arise from the natural mix of realistic firefight scenarios, as there is always an advantage to be gained when you can outrange your opponent. Whether it’s holding a position, or flanking the enemy from a wide vantage point, there is always an asset to be gained by outranging your opponent. Teamwork is the utmost important aspect within airsoft, as you need a balance of forwarding and defensive players that will either play objectively or can take the game into a more aggressive play style. With airsoft snipers, we see a more preservative play style as most snipers stay stationery due to the range they can reach. You can be an aggressive role but due to ammo restrictions, reload times and actual use of the platform, many don’t adopt this role as it’s much easier to use a semi-automatic AEG or GBBR depending on the player’s preferences. As stated, there is always a benefit to any airsoft team if you have a sniper, as you have that deployable player you can benefit from. 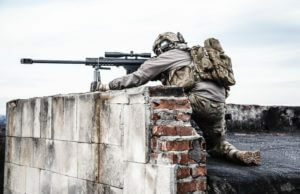 Having a wider range on the playing field is an amazing advantage, especially if the sniper can communicate to the rest of the team through radio communications. The role of a sniper shouldn’t be downplayed, as it takes great concentration and huge amounts of patience to be an effective player. 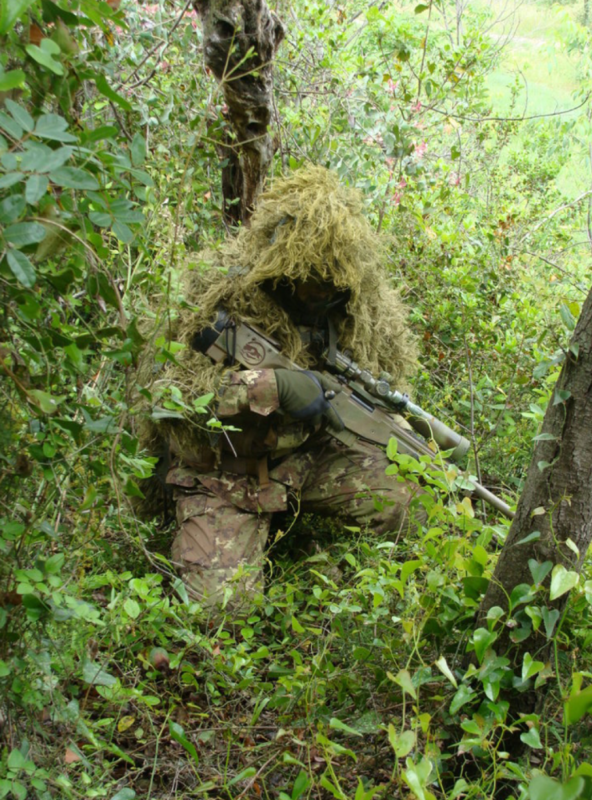 The idea of being a sniper in an airsoft game can be a great thought, but if your concept of sniping comes from a video game, then it might not fulfil your desires, as sometimes snipers can be made inoperable due to certain factors. One, for example, would be playing at a CQB site with a sniper rifle, which would give you a great disadvantage due to the single shot restrictions. There are also other restrictions like FPS limits that deem the sniper unusable, as most spring snipers range in the 400-500 FPS limit where most CQB sites have restrictions around 300-350 FPS. Another example would be an outdoor game type where the whole team is required to be very aggressive throughout the course of the game. Relocating constantly is going to be a huge drawback for a sniper, as he/she is going to have to adjust their position and aim, whilst having a barrage of their own teammates in the crossfire depending on the field they’re playing at. before, and give them your parts list and a general idea of what you want to upgrade. 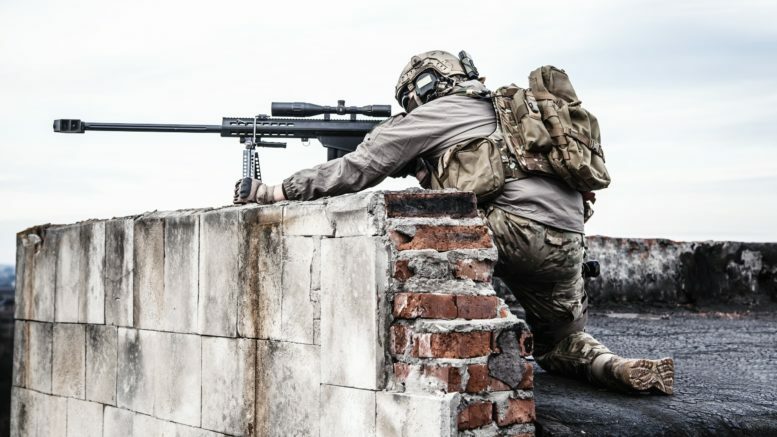 With a spring sniper then you’re going to be looking at accuracy upgrades, and overall consistency since you have to maintain a high FPS output to achieve the results we associate with long-range airsoft snipers. Taking a look at different hop up setups will give you an idea of what works, but nothing can beat overall experience as you need to try a few things in order to see what works best for you and your set up. Scopes can be bought to suit your taste, as there is a huge variety of optics you can purchase. As long as you pick the magnification you think you’ll get the most use out of. Ammunition is probably one of the most important things in airsoft sniping, even more so than it is to an AEG or GBBR user, as you really want to be using heavyweight BB’s with an airsoft sniper. Different FPS ranges will dictate how heavy of a BB you should use, as well as your hop-up setup, as alternate systems like an R-hop sniper will be tuned to shoot a particular weight and only that weight to achieve maximum range and accuracy. Choosing a high-quality BB is also important, as the grade of ammunition you use will dictate how reliable and consistent your shots are going to be. Some snipers go as far to wash their ammo as it gets rid of a slight layer of polishing compound which can yield un-consistent results which is a step beyond the norm if you want to venture that far. Just be careful if you are using biodegradable BB’s, as washing them with plain water can make the degrading process faster, deforming the BB’s and possibly ruining your gun if you decide to use them. Be the first to comment on "Airsoft Sniper Rifles: Outranging Your Opponent"